As you move around the country, and world, with your MilKids, it can seem daunting and confusing to keep switching your child’s schools. Not every school, even Department of Defense schools on military bases, understands how to work with military kids. Luckily, there is the Military Interstate Children’s Compact. And it is kind of a big deal. This compact aims to resolve many of those issues for qualifying military-connected children. There are a few stipulations about who can use the Military Interstate Children’s Compact (MICC) to help ease transitions. Basically, the service member has to be on active duty in some capacity. Either full-time active duty OR activated National Guard or Reserve service members. Children of active duty personnel who were severely injured AND discharged/medically retired are eligible for a period of one year. Children of active duty service members who died on active duty or as a result of injuries connected to their service are also eligible for one year. If the service member is in-active Reserve or Guard or retired/was discharged under normal (non-injury related) circumstances, this compact does not apply. Likewise, DOD personnel who are not active duty service members do not fall under this compact. This compact doesn’t solve all of the problems. However, it does help with records, placements, and enrollment dates. Students will be allowed to continue in their next or current grade level placement, including kindergarten, based on the sending state. Basically, this means if your child met the deadline for kindergarten entrance in State A, they will be allowed to continue in kindergarten or first grade in State B even if they don’t meet the age requirement there. MICC also covers the academic placement levels. For students who are placed in gifted and talented programs, honors courses, or AP classes, this compact has you covered. Receiving schools should enroll incoming military students at the same grade and course level as the sending school. IEPs and 504 Plans are covered by federal law, and must be immediately put into place with comparable services. Schools should be able to enroll and place your child with the unofficial records that you have hand carried from your last school! Your last school will have ten days from the date of enrollment to send the official records to the new school. Additionally, MICC can help with overlap or gaps for students preparing to graduate from high school. Courses, including required courses, can be waived IF (and I repeat IF) there is an equivalent course from the sending school. To take advantage of this, you/your student would need to appeal to your local school and provide evidence of the equivalency. If this request is denied, the school has to provide a reasonable alternative way to complete the coursework. If all else fails, for graduating seniors, the new school has to ensure that your student meets the old school’s graduation requirements. 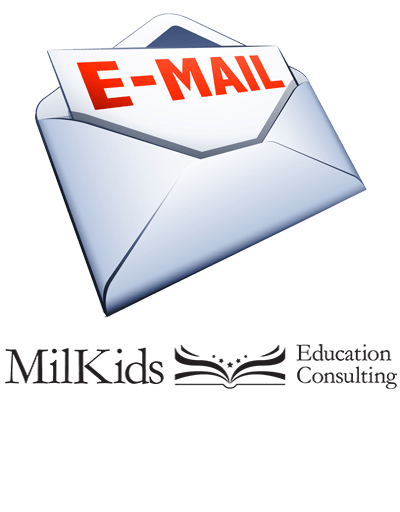 MICC can help with the vaccination records required upon school enrollment. The compact gives military families 30 days to produce vaccination records. This is awesome, especially if it’s something that accidentally got packed by the movers. Although, to be safe, you should always hand carry your child’s medical and school files. In addition, receiving states should accept results of any and all state or district tests that have been nationally normed, as well as alternative assessments. This is one line in the guiding documents for parents, but it essentially says that your children are cleared to participate in extracurricular activities for which they are otherwise qualified, regardless of deadlines. This can get complicated since many high school athletic associations have some stipulations about playing sports after transferring schools. If this is the case, seek guidance from your new and old athletic directors. For general after school clubs or programs, this guideline should clear your child to be in the same or similar groups as at their last school. Yes, there will likely be some roadblocks due to capacity, try-outs, or auditions, but generally this will help your kids acclimate faster to their new school. Yes, the Military Interstate Children’s Compact does help to smooth some of the major concerns about transitioning school aged children. But it does grant the receiving school some important rights, too. Namely, the new school has every right to reevaluate your student. Yes, they do need initially follow the placements and education plans from the sending school. However, the new school CAN, and likely will, re-test your child (with your permission) to determine appropriate placement. And they will do this whether the child is in the gifted program, on an IEP, or both. This CAN result in your child’s placement being altered because of the results of the assessments. Some schools have higher or lower thresholds for their gifted programs. For IEPs, the goals and placements, as well as services, might change because of new assessments. Additionally, each state that has adopted this compact may or may not have amended the agreement. Check this website for the complete list of the member states and their individual changes to the basic agreement. Tell me about your experience transitioning with your MilKids!